PHOENIX, AZ – CHIME16 Fall CIO Forum – November 2, 2016 – ExtraHop congratulates its customer, Phoenix Children's Hospital and its CIO David Higginson on winning the College of Healthcare Information Management Executive's (CHIME) 2016 Innovator of the Year Award. CHIME recognized Phoenix Children's Hospital's Lean IT initiative, which leverages data analytics and other advanced IT solutions such as ExtraHop, Microsoft SCCM, and other open-source technologies, for saving the healthcare organization millions while also dramatically improving patient care. CHIME honored Higginson at this year's CHIME16 Fall CIO Forum, taking place Nov. 1-4 at the JW Marriott Desert Ridge Resort in Phoenix. "Healthcare IT has exploded over the past decade, with increasing requirements around meaningful use and a growing number of systems that rely on technology to support patient care and experience," said Higginson. "With partners like ExtraHop, Microsoft, and others, we're able to fulfill our mandate with fewer resources. That means that more dollars go to what matters most -- providing the best possible care and experience to the children and families of Arizona that come to us in their hour of greatest need." 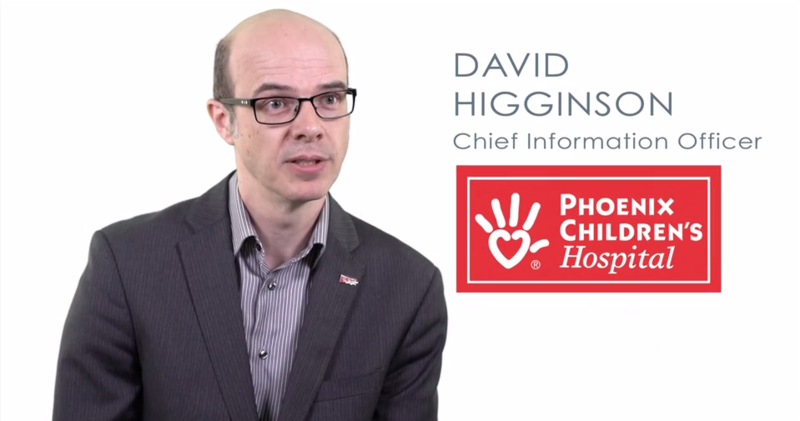 "David Higginson and Phoenix Children's Hospital are pioneers in Lean IT. The initiative is not one person, one system, one innovation, or a one-time change. This is an innovation of thought, approach, and vision that in turn has led to many innovative technology solutions, like ExtraHop, being used to solve business problems in a long-term, sustainable way," said Raja Mukerji, Chief Customer Officer at ExtraHop. "Being a part of such a significant endeavor is a true honor." To learn more about the CHIME Innovator of the Year Award program, including previous winners, click here.